Look what just rolled off the berry patch. A scrumptious little cupcake for one. 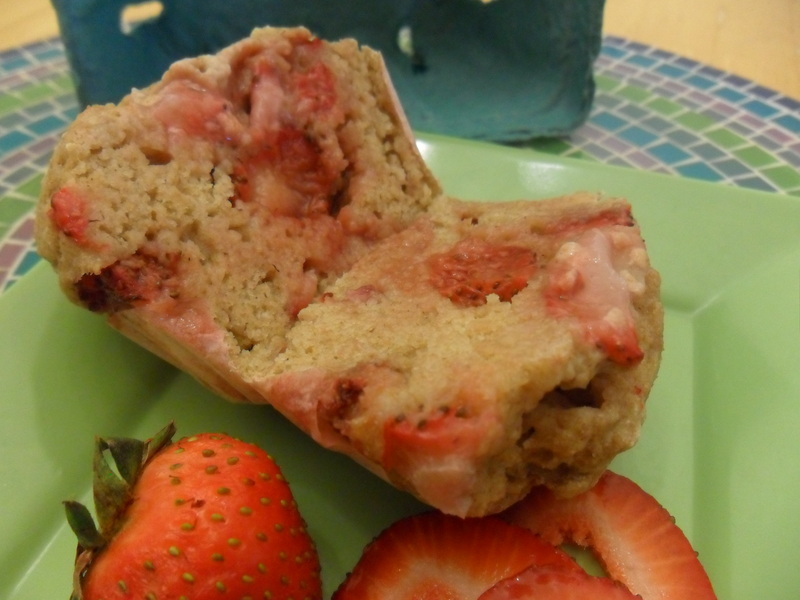 I love this recipe because the baked in fruit keeps the dough super moist and scrumptious. Plus, I’ve adapted Chocolate-Covered Katie’s shortcake recipe with some vanilla yogurt. This, I think, makes the texture of the cupcake super smooth, creamy, and soft. Her coconut-oil version also tastes great because the oil adds a very rich flavor, but I like the creamy smoothness of this one. -Preheat oven to 330 degrees. 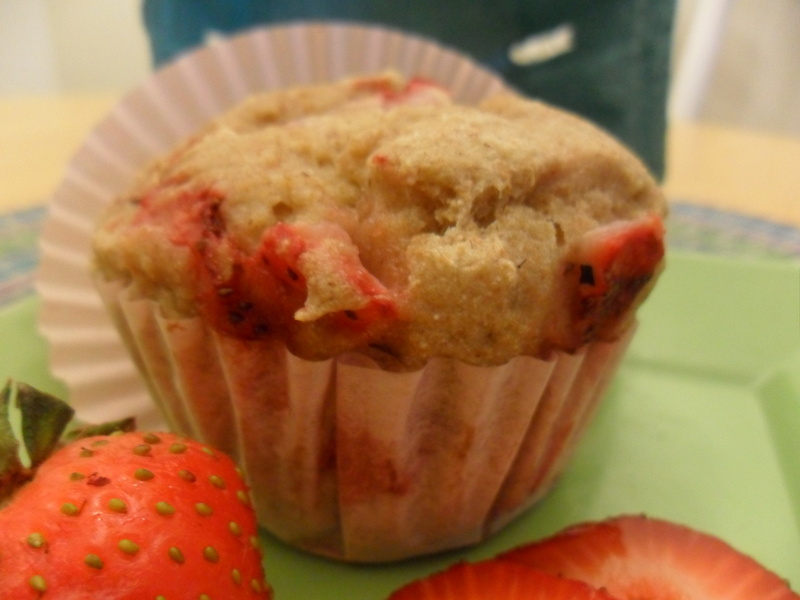 Place paper liner in a muffin tin and set aside. Alternatively, if you’d like to microwave, do so on high for about 1 minute and 15 seconds, placing dough in side a coffee mug. But know that the cupcake won’t turn out as soft and moist. -Mix dry ingredients, then blend in wet. Then, delicately, fold in chopped strawberry bits. -Transfer dough to paper liner and bake for about 10-12 minutes. Serve warm with fresh berries and cream (if you have those on hand).